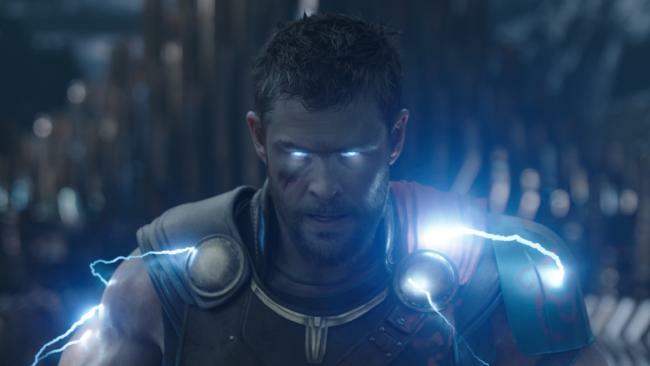 Chris Hemsworth returns in his third standalone Thor film, Ragnarok. AT the heart of Chris Hemsworth's three Thor movies so far have been squabbling siblings. In the first two films, 2011's Thor and its sequel, Thor: The Dark World (2013) - as well as the Avengers film that came between them - Hemsworth's God Of Thunder has been pitted against mischievous, power-hungry younger brother Loki, played by Tom Hiddleston. And in the eagerly awaited third stand-alone film, Ragnarok, which opens tomorrow, Thor finds another deadly foe in his hitherto unknown older sister, Hela, with Oscar-winning compatriot Cate Blanchett bringing the Norse Goddess of Death to life with delicious enthusiasm. It's a little case of art imitating life - Hemsworth is also the middle of three siblings, and he freely admits that physical conflict was par for the course when he was a kid growing up in the suburbs of Melbourne, and later in the outback and on Phillip Island. "We had our fair share of disagreements," Hemsworth says dryly. "But it was mostly love in my household." Hemsworth's older brother Luke, (who makes a cameo in Ragnarok) has most recently been seen in the HBO hit Westworld. But it was younger brother Liam, an early rival for the part of the Marvel superhero who went on to find fame on his own in The Hunger Games, who copped the worst of the high-jinks. "My grandfather gave my older brother a BB gun that my mother didn't know about," recalls Chris. "So we made Liam put a motorbike helmet on and a couple of jumpers and some gloves and we said 'run'. And we had to hunt him around the house. He didn't love that game as much as we did." Hemsworth is speaking from Sydney, fresh from the Ragnarok premiere there and on the Gold Coast, where the big-budget Marvel extravaganza was mostly shot. 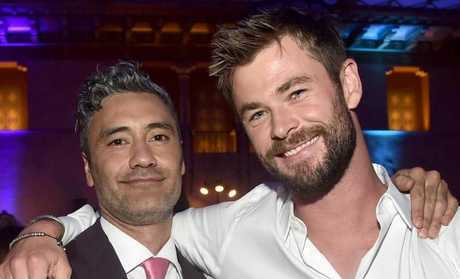 The Hollywood hunk, who first got his big break on Home and Away more than a decade is in high spirits: not only is the press trip with co-star Mark "Hulk" Ruffalo a kind of homecoming for the film, but Ragnarok has garnered overwhelmingly positive reviews for the smart, snappy way in which Kiwi director Taika Waititi has reinvented what was in danger of becoming a rather tired franchise, and possibly the weak link in the otherwise impregnable Marvel Cinematic Universe. While Kenneth Branagh's first film successfully kicked off the big-screen life of one of the comic book juggernaut's lesser known superheroes, with a mix of Shakespearean-tinged gravitas and fish-out-of-water levity, its sequel was criticised for its rather dour and downbeat tone, and became one of the least loved of the 17 (and counting) Marvel movies. And after having already played the character five times, Hemsworth himself admits he was becoming a little bored with the impossibly buff, hammer-swinging, practically indestructible Asgardian. 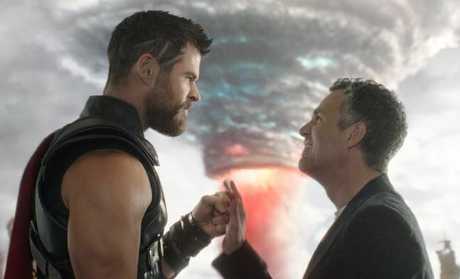 Chris Hemsworth’s Thor and Mark Ruffalo’s Hulk go on an intergalactic buddy road-trop in Thor: Ragnarok. The obvious solution for an entirely different direction - and one embraced by the studio, the director and the star - was to play the already slightly ridiculous character for laughs. And with Thor and Ruffalo's Hulk having sat out last year's hero packed Captain America: Civil War, the chance emerged for both to appear in what the latter called an "intergalactic buddy road-trip movie", and both actors were keen to take their characters to places that fans had never seen them. "I think we both became a little familiar with it all and there was a bit of boredom about ourselves and we just thought 'what can we do? '," says Hemsworth. "So we just sort of threw away anything that we knew and any time it felt familiar we went in a different direction. On a number of occasions, we looked at each other and said 'are we wrecking this film?' and Taika would say 'yes, wreck it, it needs to be wrecked and rebuilt'." Hemsworth relished the chance to build on the comedic work he had loved doing so much on Saturday Night Live and in Vacation and Ghostbusters and was thrilled when he discovered the studio felt the same way. Similarly, the improvisation skills he'd honed opposite Melissa McCarthy and Kristen Wiig as the hunky, dopey secretary in the much-maligned Ghostbusters, held him in good stead on Waititi's loose, spontaneous set. "The Marvel guys were keen to do more of that in this setting and I always thought that these films were certainly grounded by the humour - if you didn't have humour it all becomes overly dramatic and irrelevant. It's something we can relate to, whatever world or planet you're on, if there's a common thread of humour then you buy into it all. And they should be fun, these films." As an indicator of his Hollywood clout, Hemsworth had a strong influence on the film being shot an hour away from his adopted home of Byron Bay and while he didn't have final say on hiring Waititi, he was a vocal champion of the Kiwi director of Boy, What We Do In the Shadows and last year's hit comedy Hunt For the Wilderpeople. "I have an input, certainly they would ask my opinion," he says. "His name came up in among a bunch of people, but he was the one I was screaming about. Boy is one of my favourite films, this was even before Hunt For the Wilderpeople, which I loved equally as much. So he had my vote but there were a few (other) votes that needed to step in and make that decision." 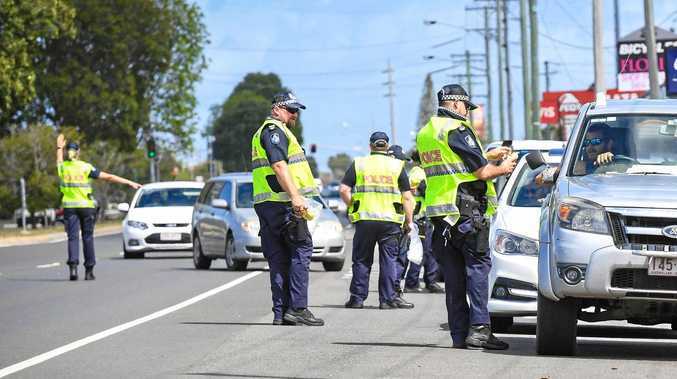 The shoot in Australia - despite the thousands who turned out to see Hemsworth and Hiddleston when they shut down the centre of Brisbane, doubling for New York - also afforded Hemsworth some welcome time away from the celebrity glare. 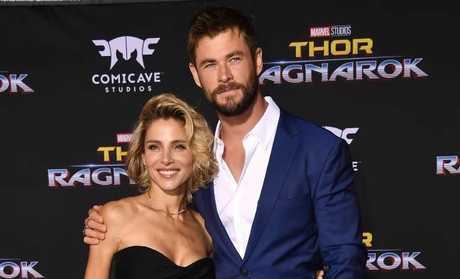 The father of three children with Spanish actor wife Elsa Pataky says that he finds the locals on the far north coast of New South Wales much more chilled than the frenzied atmosphere of Los Angeles. "There might be fans of the films or whatever, but it's not quite as obsessive as it might feel like in, say, LA," he says. "Because people come from all over the world to LA to see celebrities and take photos and walk down Hollywood Boulevard - so they're kind of in that mode. Whereas here, I've been surprised by but really been happy with (the reaction) too, especially going around with kids and so on."